Just a few months after Southwest Airlines announced it was splitting with longtime partner SeaWorld and re-painting its planes that were painted like orcas, another company is putting orcas in the sky. But this time, the emphasis is on whales in the wild. 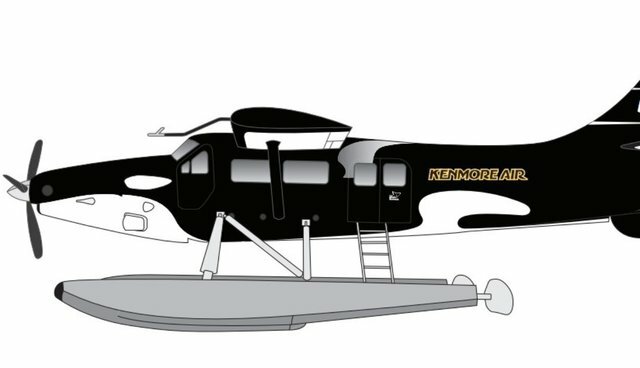 The conservation group Wild Orca teamed up with Kenmore Air, a Seattle seaplane company that ferries passengers to and from islands and cities in the Pacific Northwest, to launch the orca plane project this week. The campaign is particularly near and dear to the company and its pilots - operating over the coastal waterways of the Salish Sea, they regularly glimpse whale pods swimming far below them from inside the cockpit. 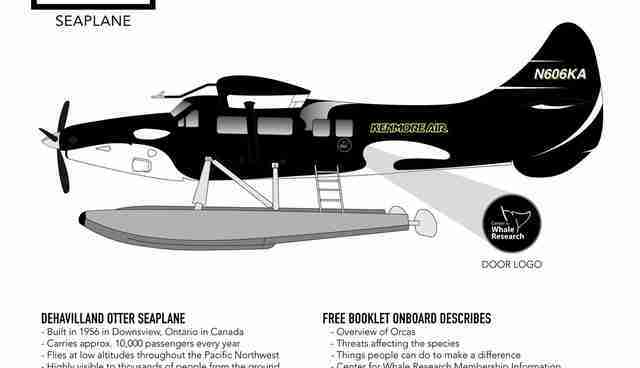 The plane, which will carry about 10,000 passengers every year and be seen from the ground by countless others, will also come with information booklets tucked into the seats so that passengers can learn about the threats plaguing wild orcas. The pamphlets will include information about reducing toxins in the ocean, noise pollution, responsible whale watching, and, most importantly, how to help the recovery of chinook salmon, the local orca population's main food source. The population, referred to as the Southern Resident Killer Whales, has had a hard time in recent decades. In the 1960s and ‘70s, about 50 whales were removed from the area for marine parks. The population was on the way to recovery - but contaminants, noise and lack of food have threatened to decimate it once again. Now, Hayes and Wild Orca hope that people will realize that many of the things they do, from eating unsustainable seafood to dumping harmful chemicals into waterways, can hurt the environment - and the orcas. "We're doing something that's different than what anybody else is doing in the orca world," Hayes told The Dodo. He said that while the organization has been hosting events for the public often, sometimes it feels like they're "preaching to the choir." "Our goal is to reach a new crowd that isn't hearing these messages. The airplane is really visible, flying in and out of Seattle all the time. We want people to see it and start a conversation." Wild Orca created an Indiegogo campaign to raise the $14,500 needed to cover the costs of repainting the plane and producing the informational booklets. They will also be urging people to learn more about ways to help wild orcas by directing them to the Center for Whale Research, a research station on the island that has studied the population for over four decades.